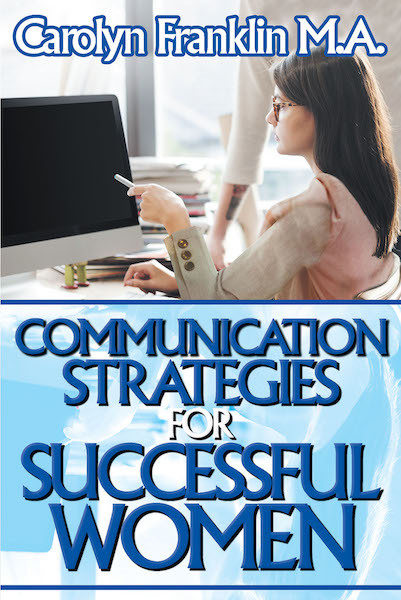 This book guides women to advance their success rate in the business world by some behavior and attitude changes. Women need to: speak in facts, and increase volume and lower voice-pitch for credibility. Stop smiling. Everyone is on overkill for niceties and apologies. Use more control in meetings, stop interruptions, increase efficiency, and improve decision-making. Women need to understand how men think. Men bond, women don't. Men support each other, women don't. Men do not internalize mistakes, women do. Men are not emotional (at least openly). Women are still seen as being hormone-directed—accurate or not. Women are strong in observing, connecting, and supporting strengths critical to increased job satisfaction. But these strengths need to be implemented as facts, not feelings. The left-brained talents of women can be honored and better utilized by the behavior skills in this book. These suggestions and guidance are honest and open and attempt to focus on the strengths of all people for a more content society.